Note: This tongue-in-cheek article was written as part of the Wacky Week theme. Try not to take it too seriously. To see all articles of this week’s theme, check out the hub. Too often in gaming, plants are just included to be part of the background. Included only to add some realism into the world the player happens to be playing in (I’m looking at you Uncharted!). It’s always seemed odd how little a look-in plants get in gaming when in reality they provide so much for us. From the Aloe Vera plant that has been used in herbal medicine since the first century AD to the humble Wheat which helps make the likes of bread, beer, biscuits, pasta and even bio-fuel. However once in a while a game will come along and have the insight to utilise the amazing world of flora and I for one welcome more of these types of games. On a lazy Sunday afternoon I love nothing more than to play a bit of Shadow Of The Colossus. Am I felling giants and questioning my motives? Hell no! I’m too busy finding more of those elusive fruits. Do I care for the carefully written dialogue and the larger than life Daedric Gods of Oblivion? Pfft, who cares? I was busy looking for the elusive Nirnroot that chimes when you draw near. So here they are, the top five plants of gaming. Dark Souls is without doubt one of the hardest current gen games around. The only game some might say is harder would be its predecessor Demon Souls. However you can spare me its creepy level design and gigantic bosses, I’m only interested in the Purple Moss Clump found throughout the games world. What can you do in Red Dead Redemption? More like what can’t you do? From robbing trains to tying up a prostitute and leaving her on a railway line, you can do almost anything. But who cares about all that when you’ve got a huge map full of flora and fauna to explore? From the Prairie Poppy to the Prickly Pear, Red Dead Redemption had a vast array of flora just ripe for the plucking. However, in my opinion, the greatest plant of all was the Violet Snowdrop. Why? Well, not only is it the most beautiful and hard to spot plant in the game but it’s also the most dangerous to pick. The plant is found north of the map in a snowy, mountainous area called Tall Trees. Many dangers lurk in this area from Boars to the feared Grizzly Bear. More often than not, after picking this wonderful plant, you will turn just in time to see a bear lunge at you, delivering a killing blow and making you lose all those pretty, precious flowers you’d gathered up to that point. The Elder Scrolls games are mainly known for their huge open worlds and amazing fantasy characters. 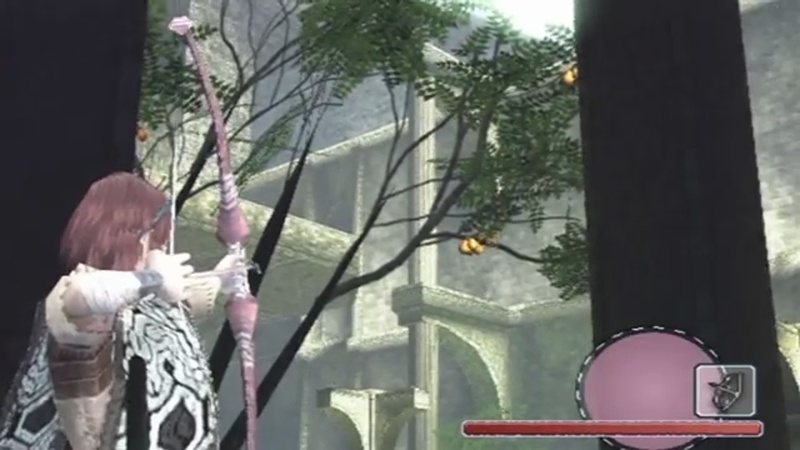 For me however, I shall always remember them for introducing the Nirnroot. Of course there are many plants you can harvest in Oblivion but none as interesting as the Nirnroot! The Nirnroot is usually found near a large expanse of water and glows faintly whilst giving off a heavenly chime if you get close. The first time you harvest the Nirnroot you will be given the quest Seeking Your Roots, which urges you to find out more about this odd plant. After asking the botanists in Cyrodill you will be directed to Sinderion who, in return for Nirnroots, will give you a powerful potion called the Elixir Of Exploration. How nice would it be if we had plants that chime. If you search long enough you may find a tree bearing fruit. Use your bow to shoot the fruit down and you can take a bite. The fruit will permanently increase your health bar, however the odd thing is that at no point does the game tell you this fruit even exists. Like so much in Shadow Of The Colossus, you must figure it out for yourself. 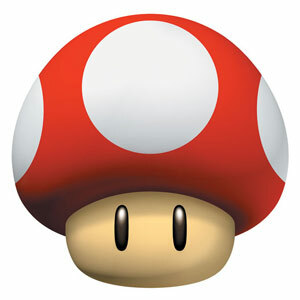 Last but certainly not least we have the Mega Mushroom which is perhaps the most powerful plant in gaming. After all, there aren’t many plants that turn you into a giant, allowing you to stomp around like Godzilla. The mega Mushroom turns you from normal Mario, who has to dodge enemies and platform to reach his goals, into super Godzilla God Mario who can stomp through anyone and/or anything that is unlucky enough to be in his way. Of course the effect wears off after a short while but when you’re in God mode, a short while is all you need.